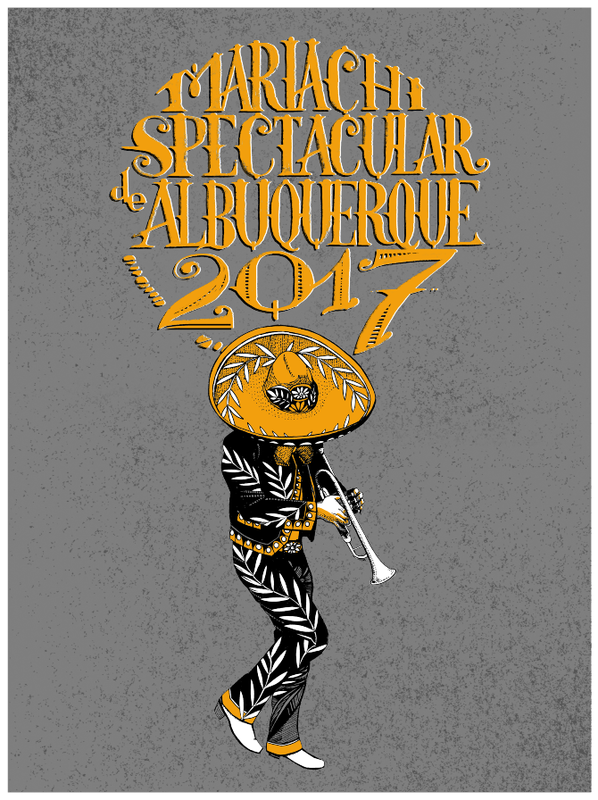 Guerrilla Graphix worked closely with Mariachi Media for the 27th Annual Mariachi Spectacular de Albuquerque (MSA)! 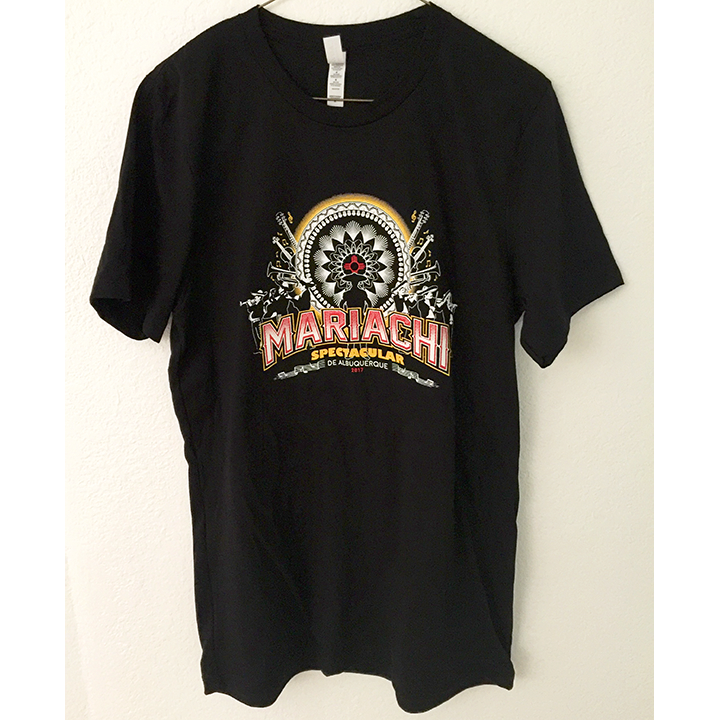 MSA is the country's top mariachi education conference and festival, and promotes culture, arts & arts education. Guerrilla Graphix designer Justin Moulton created this original work and our production team printed it on black Bella/Canvas shirts. "The shirt was a hit! So much so that we sold out in key sizes on the 2nd day! We reached out to Guerrilla Graphix around noon that day (a Thursday) to inquire about the possibility of printing more shirts on a rush basis. Amazingly, they made it happen! 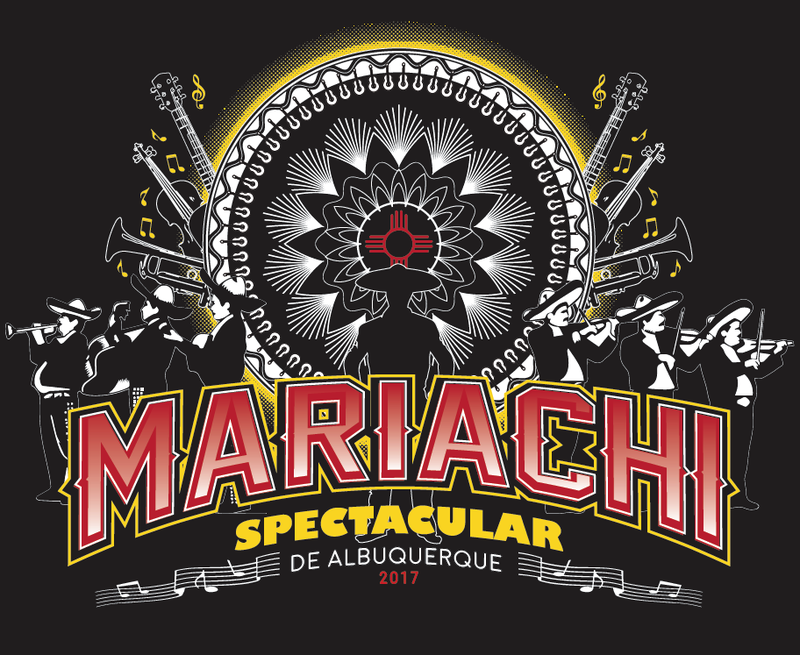 We had additional shirts the very next evening for the Showcase Concert & Competition and for Saturday evening's Spectacular Concert at the Sandia Casino Amphitheater. And yes, those shirts sold out too." Floyd E. Vasquez Jr., VisionBroadcast Media LLC (aka Mariachi Media). Mariachi Media also engaged local artist Andrew Fearnside to create another original work for Mariachi Spectacular. Andrew immersed himself in mariachi history, art and culture to develop an appreciation of the art form and its historical imagery. After many studies, sketches and ideas, Andrew conceptualized and created this work using a mix of hand-drawn pen and marker imagery with color added digitally. To read more about the creative journey of this piece click here. Guerrilla Graphix screen printed the t-shirts on silver Canvas/Bella stock. With the client's approval we also added a weathered look to the background and printed a batch of 18 x 24 inch posters. If you'd like one of these posters hanging on your wall or are looking for a gift for the mariachi in your life, click here. If you are looking to get some of your own work reproduced on a poster, t-shirt, sticker, apron, mug, etc., click for more information on graphic design, screen printing and business printing services and/or give us a call at 505-503-8805. We also print on paper, plastic, translucent or opaque vinyl. "Printing posters and other merchandise is a good way to promote local artists and events", says Guerrilla Graphix graphic design manager Justin Moulton. "One of the goals of Guerrilla Graphix is to build upon a local network of small businesses. We all benefit from affordable design and print products and cross-promotion on social media. It’s a win-win-win situation".